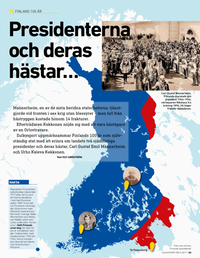 Courtesy of sulkysport.se, we are glad to publish an article about the 100 year anniversary of independence of Finland. The article is written in Swedish language, we recommend the Google Translator. Please klick on the pdf on the right hand side (3 pages).